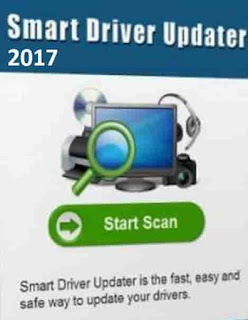 Smart Driver Updater 2019 Latest Free Download Setup for PC. Backup, restore, update and scan your computer now for outdated drivers and install them! If you have missing device files for your hardware in the system then, you should give this a try. It has the feature of auto-updating drivers seamlessly. There are many benefits of having up-to-date drivers because they are proven to come with bug fixes and performance improvements. Driver management is essential for your system because all the time you cannot find the correct drivers for your machine. But therefore, Smart Driver Updater was made for. It saves you lots of precious hours of web searching each hardware vendor like Dell, HP, Lenovo, Acer, Compaq, Toshiba and so on. You will not need to go on each company's website and look for the drivers yourself. It will do it for you. It setups and configures them for you as well just like in DriverPack Solution 2017. Another great reason to have this on your machine will be because if you have an incompatible driver that may corrupt other operations from working regularly. The simplest and straightforward to use driver updating software and installer in the market. Contains over 600,000 driver files. So, don't worry it's got you covered. Just in case anything goes wrong, it restores. The scan is of premium quality, and within minutes or seconds, you will have a list of all missing drivers that are outdated. Compatible on x86 / x64 machines. Does not require the internet to work always. An offline installer is also available. CPU: Intel Pentium IV or better. Storage: 50 MB required for installation. Video: Nvidia / ATi 64 MB. OS: Windows 7, Windows 8.1 or Windows 10. License: Trial (30 days), for the full setup you will need to purchase it.